My daughter, Khloe, is now almost 6 months old. Last week she had her first bite of solid food (if you can call it that), rice cereal. Now for those who don’t know, rice cereal is kind of like pulverized dried rice that, when mixed with liquid, becomes kind of a cream-of-wheat textured first food for babies. For my highly-allergenic baby girl, I decided to start with rice. Feeding a baby is so exciting. 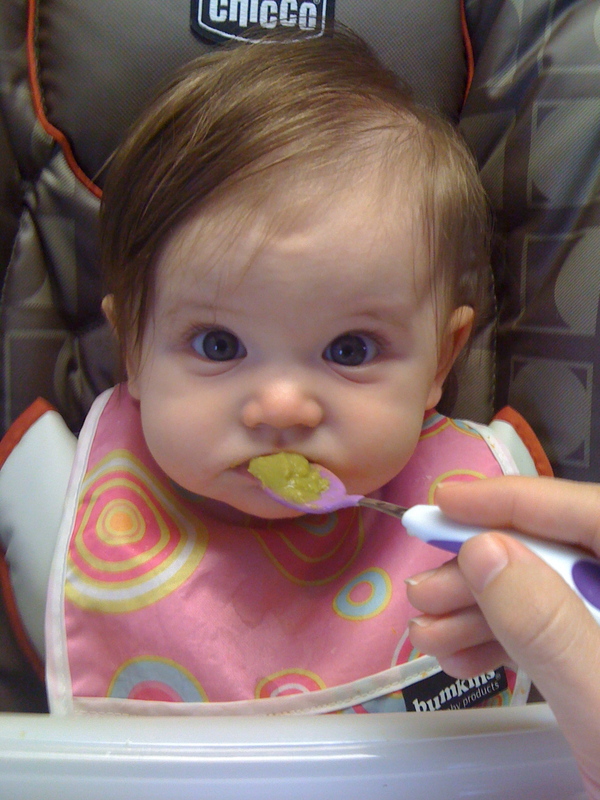 I remember with Kiara watching her little face contort as I would give her peas or green beans, and how she would lunge toward the spoon when I fed her pears. I can’t wait to give Khloe all the different kinds of foods and watch her reaction, but introducing foods is a slow process that takes a lot of patience. Obviously, different moms do things in all different ways, and this is not one of those posts, but generally a baby will start with rice or a simple grain once a day and then build up to three times per day. Then, once they master that for a couple of weeks, you’ll add a single ingredient fruit or vegetable. You stay with that food for several days to watch for signs of allergies, and then you proceed to the next food. You go through aaaaall the single ingredient baby foods, and then you start to mix them. Quantities and flavors increase, and then after months of work, babies can have some liquified turkey and gravy. Mmmm. After all of this is done, finger foods start, and the little one begins munching on puffs or cheerios. So, as much as I would love to give Khloe some puffs and watch her chomp chomp away, she would choke on them if I tried to give them to her now. If I pureed a t-bone steak and fed it to her today, her body would most likely reject it. It’s a process. In the same vein, I can’t keep her on just milk forever. She would start waking up all hours of the night (oh heavens no) and wanting to nurse more frequently. At some point, a baby requires more nutrition than solely milk can provide, otherwise they may languish and could fail to thrive. Believers are called to maturity. Like little babies, we are to work our way up the food chain until we can put down the heartiest of carne asada burritos. How many of us, though, get stuck on Mommy’s milk? Can you imagine a grown woman with sippy cup in hand, strained peas running down her chin? A large man perfecting his pincer-finger fine-motor skills one cheerio at a time? Our passage of Scripture today talks about how the Hebrews should have been teaching the word already, but because they were slow to learn, that had to continually be re-taught the basics over and over and over again. They couldn’t understand some of the incredible truths that God wanted to teach them because they were happy with their breastmilk. Satisfied with their Similac. Hebrews says that those who are still drinking milk aren’t “acquainted with the teaching about righteousness.” They fail to grow. Their sanctification becomes more stagnant than progressive. But we are given a hint about how to experience a growth spurt: “solid food is for the mature, who by constant use have trained themselves to distinguish good from evil.” There is a danger in thinking that one is as mature as she can possibly be when she really is just eating Step 2 organic peaches and brown rice. She can think that she knows all there is to know, that she doesn’t need to spend time in the word or going to church or seeking God in prayer. But just like the grown woman with her sippy, that lady is not going to receive the nutrition that she needs. She is susceptible to falling for falsehood. It takes “constant use” to have eyes that see the lies. You’ve got to put your faith into practice. Read, apply, pray, repeat. Here’s the good news. The Bible says that Jesus is the “author and perfecter of our faith” (Heb 12:2) and that we can be confident that “he who began a good work in (us) will carry it on to completion” (Phil 1:6). 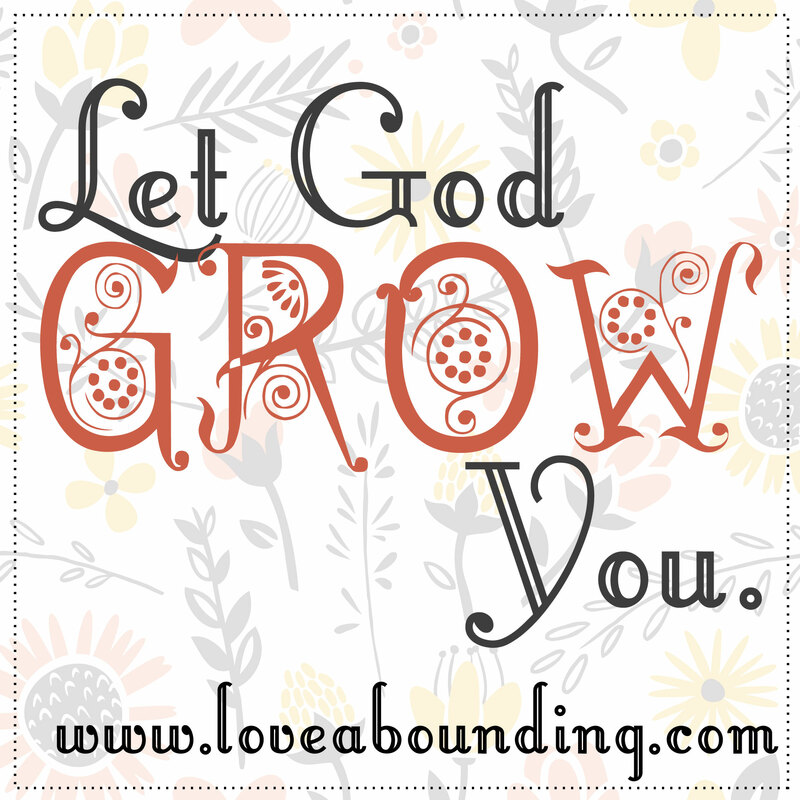 God makes things grow (1 Cor 3:7). Just like how Khloe is naturally progressing to need more food and more nutrition and is getting bigger and bigger, God will bring the growth and the need for more. We just need to bring the spoon to our mouths. Moms: I’d like to add here that if you are a mother, you know that not only do you need to feed yourself, but it is your responsibility to make sure that your children are fed, and fed well. You want them to start with the green stuff so they get a taste for healthy food. If they only eat the candy and fast-food served up by the world, you’re opening them up to sickness and disease. How much time do we spend thinking about our children’s food? Think about how much time you spend in the kitchen preparing, cooking, supervising, and cleaning up their eating experience. I basically live in the kitchen. 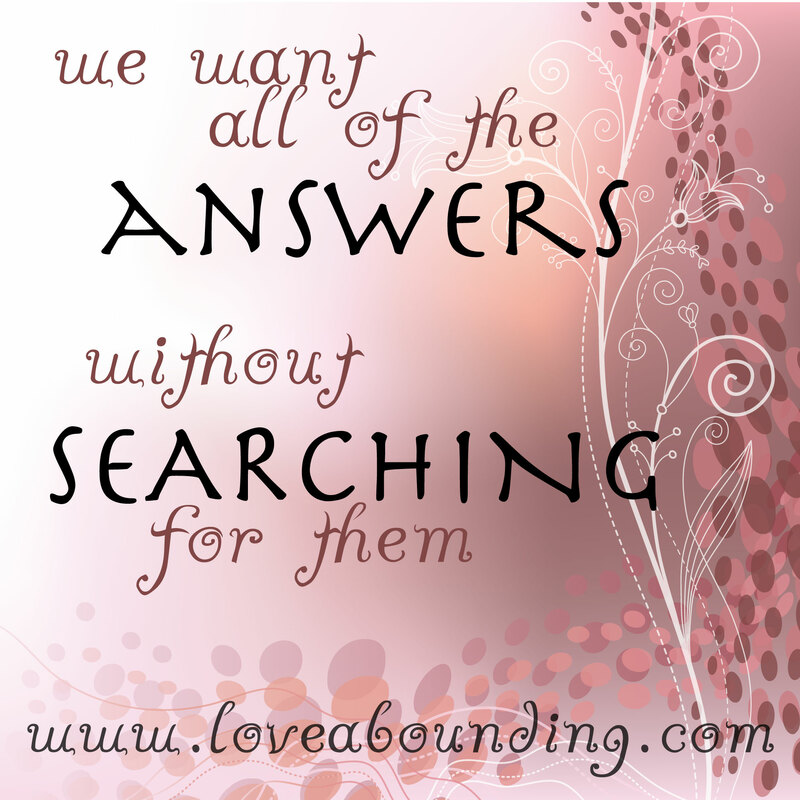 How much more, then, should we be thinking about their spiritual nutrition? Just as a mom who doesn’t feed her children and leaves them starved is guilty of neglect, I would offer that we are guilty of child abuse when we do not ensure that they are eating their spiritual food. You love your kids. Get them to church, now. Get them plugged in, now. Get them reading, now. Teach them about Jesus daily. We certainly don’t just give them a snack once a week and hope that’s enough for them. This is America, after all. We’ve got supermarkets full of the choicest foods. We are without excuse. God has been speaking about this to me lately, and at the same time, my church has rolled out an incredible children’s curriculum that extends to the home throughout the week. I’ve had some ideas on how to implement this daily with my preschooler and make it fun for her. I’m learning this right along with you! If you’re interested in resources for your kids, please do some research or contact me and I will help you track something down that is age-appropriate and would be beneficial. With that, if you have any resources that you have found to be awesome for your kids, leave a comment and share with our other readers. We need all the help that we can get. Let’s strive for excellence and leave a legacy of godly children who love the Lord with all their little hearts and souls and minds and strengths. You wouldn’t waste a prayer on this guy today. He ate a bunch of carpet (again). Oh, how we love him. But oh, how frustrating it can be! Under vet’s orders, we are monitoring him, and he seems okay, but we are praying specifically that no little carpet strands are stuck in his gut, requiring surgery (again)! Love you all! Press on to maturity knowing that God loves you and that your growth will produce much fruit–for you, for others, and for your kids! This entry was posted in Uncategorized and tagged parenting, progressive sanctification, word on January 14, 2013 by Amy Barnes.